Upper Missouri Ministries began in 1946 and has been providing a place for youth and families in northwest North Dakota and northeast Montana to gather and reconnect with God and the community ever since. Having previously designed their website years earlier, we sat down with them when it was time to give the site an updated look. Together we tweaked the navigation and content to make information easier to find, added some new functionality that would allow staff to make regular updates to the site, and rounded the project out by making everything responsive. 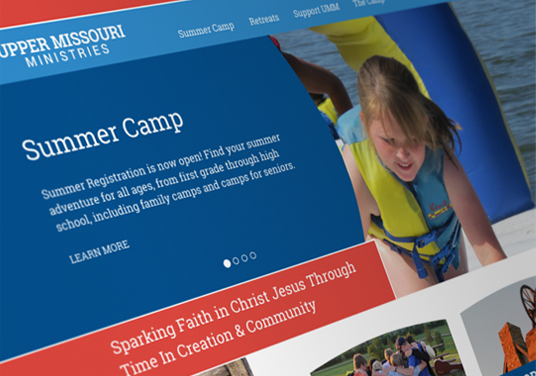 Now visitors can easily find information on the camp while enjoying the exciting new design we created for Upper Missouri Ministries.